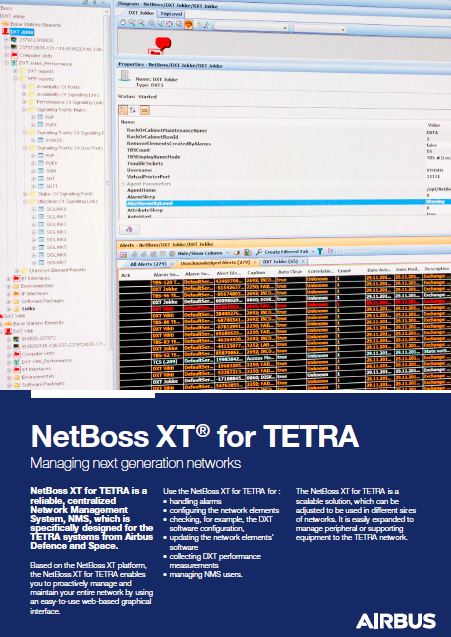 NetBoss XT for TETRA is a reliable solution for managing the network. With the NetBoss XT, you can manage the whole network from one location. NetBoss XT is a network management system with an easy-to-use web-based graphical user interface. The NetBoss XT for TETRA is scalable and versatile. You can also use it to manage peripheral or supporting equipment to the TETRA network.